As you might have guessed Melissa I have a bit of time on my hands. While I am not cooking much I did do some salmon on the grill with a lime chipotle rub that is Care’s favorite along with grilled asparagus. She deserved a good meal as she has been taking exceptional care of me and not doing much for herself. 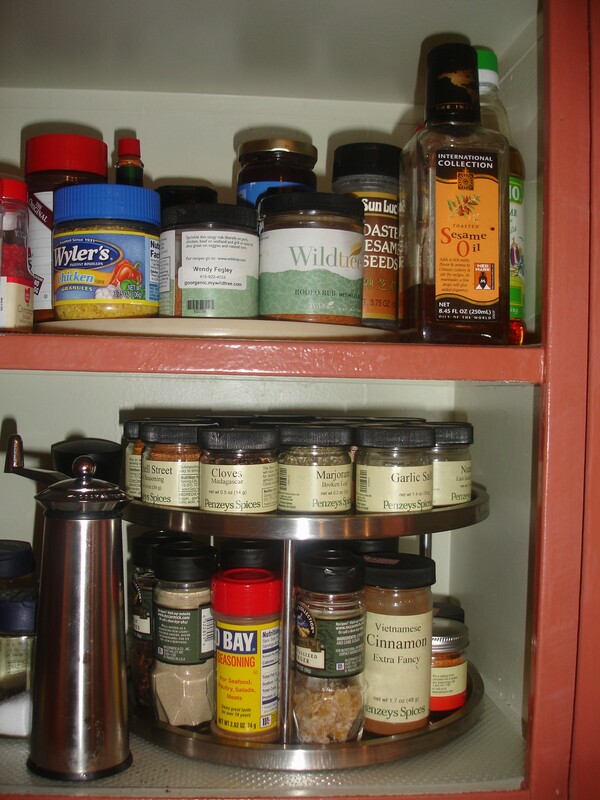 Enough of the pre-amble I have not posted for a while and feel pretty bad that you are taking the lions share but here is a follow-up to your spice rack posting. As you can guess we have a lot of spices and the organization well here it is as best I can explain it. 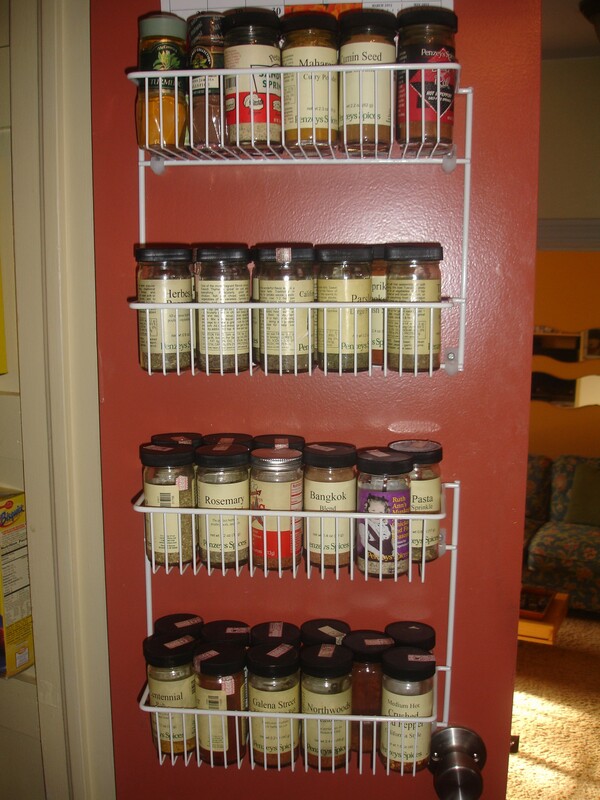 The Main spice rack has the most common used items on it and is in our small pantry. The top shelf are items like curry, turmeric and other oddities. 2nd shelf has the dried green things like parsley, oregano, and all that good stuff, 3rd shelf continues with more of the green. The bottom shelf is my personal favorite and contains the bottles of various rubs I use on the grill and in the kitchen. As you can see most of these are Penzey’s. The next location is for the little guys and some of the baking stuff. Main organization strategy was by size. This really is no help in finding what you are looking for as you might guess. To think that I have done 5-S organization strategies for a living I could come up with something better but it works. Now to my personal favorite! These are two Ikea boxes full of Penzey’s “Bag O Spice”. 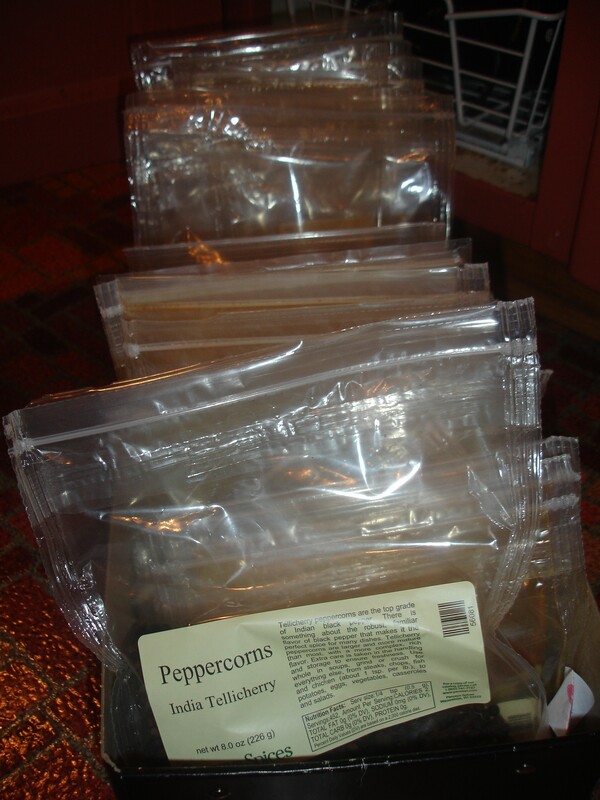 Most of these are rubs or spices I use to make the rubs for the smoker. Again the organizational strategy is 2 boxes full of bags. Again it somehow works. So that is our spices and as you can see no clear format for storage. Hope to put up a food post soon! This entry was posted in General on April 4, 2013 by Kim Galizio. So organized! I thought I had a lot of spices, but not compared to you guys. So glad you’re feeling better and thanks for posting!